Since 2003, Simplex Americas LLC has been dedicated to providing marine services, sales, spare marine parts, and engineering to the marine industry all covered by factory trained specialist. Simplex Americas has become a name you can rely on for quality products and marine services. Simplex Americas team of highly skilled engineers is available to assist in all facets of maritime propulsion. Whether you have a deep water vessel or inland water vessel, Simplex Americas is here to offer full-service support for all your marine services needs. 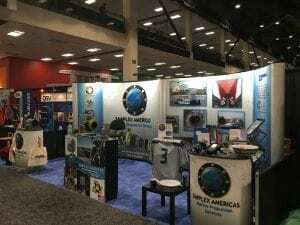 As a way to connect with their customers and other businesses in the marine services industry, Simplex Americas counts on marine trade shows. According to Paul Cooper, Simplex Americas Gulf Coast Manager, “Trade shows are the perfect time to see a lot of existing customers and meet new potential customers at one time in a casual atmosphere.” By attending trade shows, Simplex Americas can showcase their products and marine services while educating potential customers in a pressure-less environment. “WBS and IMX the two main shows I attend are exclusively promoting Simplan seals, traditional and composite (GRP)” says Paul. 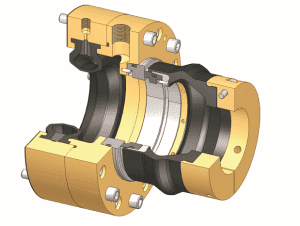 Simplex Americas is pleased to supply Simplan seals; these state-of-the-art seals can prevent damage and wear that generally occur to the shafts. By avoiding damage to the shafts, Simplan seals can avoid any unnecessary time in-dock for maintenance. Simplex Americas will be attending the International WorkBoat Show in New Orleans, Louisiana and the Pacific Marine Expo in Seattle, Washington. Come use this opportunity to check out Simplex Americas marine services and supply. Simplex Americas LLC provides you with marine services, marine parts and marine spare parts that you need to keep your marine equipment operating at its best. Some of our products are stern tube seal, SKF Shaft Couplings, submarine seals, shaft seals, seperator spares, and shaft components. Copyright © 2019 Simplex Americas. All Rights Reserved.